Springtime is in the air and after a winter that seemed to last forever, it's time to celebrate the coming of spring. Below you'll find some wonderful spring freebies such as spring computer wallpaper, coloring pages, word search puzzles, and clip art. Lots of fun and free activities that will get you and the kids in the mood for warmer weather and outdoor fun. Tip: If you're looking for something more specific check out my lists of Easter freebies, Mother's Day freebies, Earth Day freebies, and St. Patrick's Day freebies. 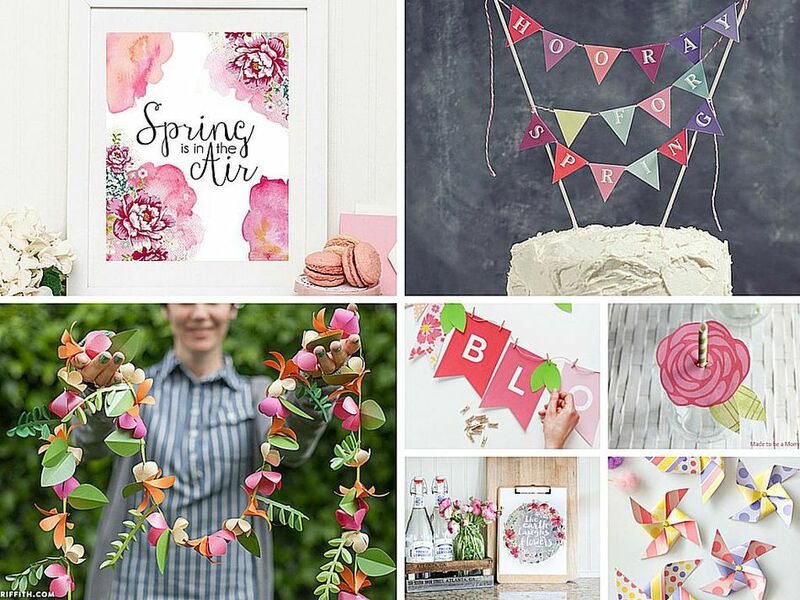 Brighten up your home with this group of beautiful free spring printables. Included are printable art prints, cake toppers, flowers, stationery sets, banners, and much more. Easily decorate your computer desktop for spring with these free spring wallpapers. You'll add an instant cheer to your home or office with images of flowers, baby animals, spring storms, and the first signs of spring. The kids will love these cheerful spring coloring pages with images of spring scenes and children having fun in the springtime. You can print off any of these spring coloring pages for free, even enough to create your own custom coloring book. Great for kids and adults alike, these spring word search puzzles will work out your brain while getting you in the mood for spring. There are easy, medium, and challenging spring word search puzzles here so no matter what age you are looking for, you'll find a perfect word search puzzle. This free spring clip art will make any project you are working on really look cheerful and full of energy. Look for spring clip art of flowers, animals, trees, clouds, and more.